Is your business or commercial property starting to looking a bit dirty? 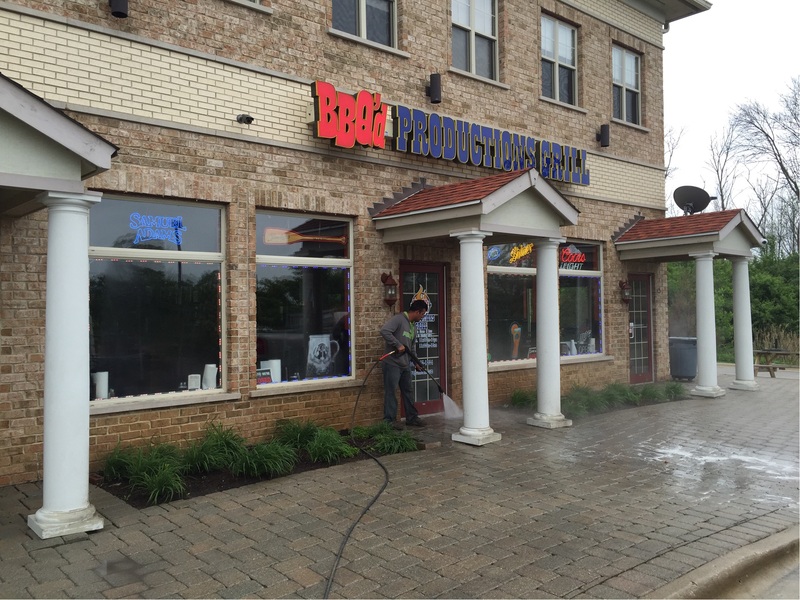 Commercial pressure washing is what we focus on yearly to keep our clients properties looking clean all year round. Having a dirty property not only makes everything look bad, it gives off a bad first impression for potential clients pulling into your parking lot or driving around town. Keeping your brand looking clean at all times is crucial in generating leads. Here at Grime Busters Power Washing, we take care of all the dirty work and get rid of that grime from your business and commercial property. No job is too big or too small for our team here at Grime Busters Power Washing. We focus on all aspects of commercial cleanings ranging from Store fronts, drive thrus to heavy equipment. If you have a fleet of vehicles on the road, make sure your brand is staying clean all year round with having our team do a contract cleaning for your company.
" Great communication, great service and quality work. Thanks, we will be back! "